Get ready for one of the Gospel events of 2012 with the release of the new album from ABANQOBI – UDONDOLO. ABANQOBI, with their brand of Traditional Accapella Gospel, have made this genre their own and have a huge fan following around the country. This group of 13+ members was formed in Durban in 1999 and quickly became very successful. As well as their professional appearances, they have become involved in numerous Social Development Projects in the community. Their many top-flight performances include being requested regularly by Government Departments, District and Local Municipalities, Local Churches and Local Schools in KZN. ABANQOBI joined Revolver Records in 2010 with the release of their album BAYOJABULA. It quickly became a top-selling CD. 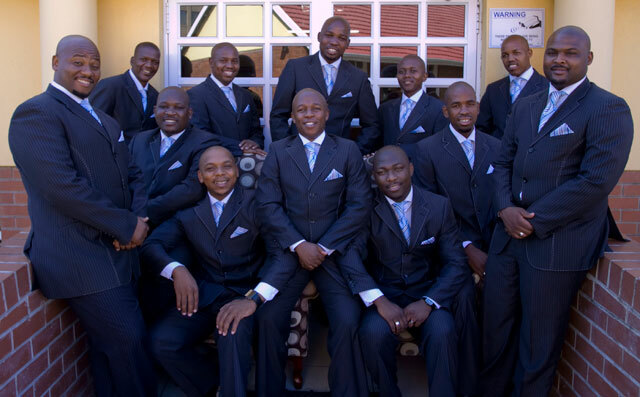 They were nominated in 2010 and 2011 with BAYOJABULA for the Crown Gospel Music Awards and took the prize both times. UNDONDOLO has been eagerly awaited. It's sure to become a favourite on radio and TV in the coming weeks and become another huge hit for this outstanding group.